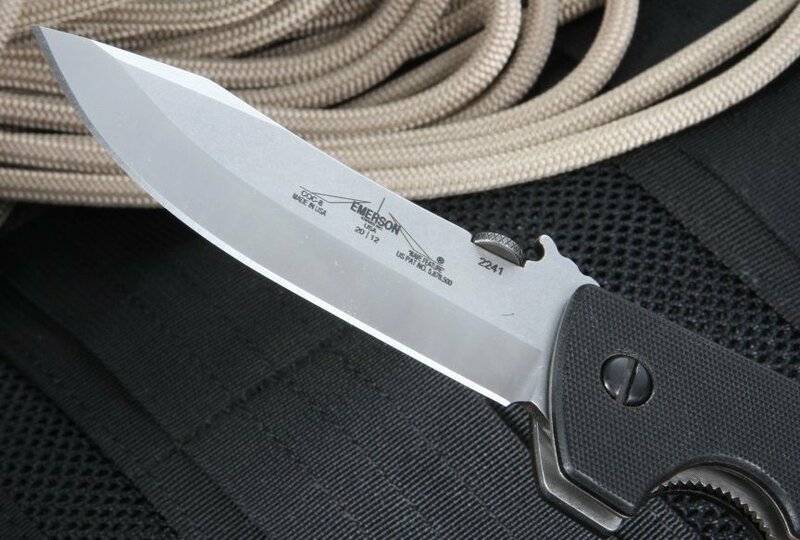 Combat-tested Emerson knives are each hand-crafted in the USA using the highest grade materials. The Emerson CQC8 is designed with the patented "wave feature" for one-handed opening and has been in use in the armed forces since the 1980's. A wide selection of Emerson knives can be found on KnifeArt dedicated to the finest knives worldwide. Emerson knives are durable and considered the number one hard knife in the world. 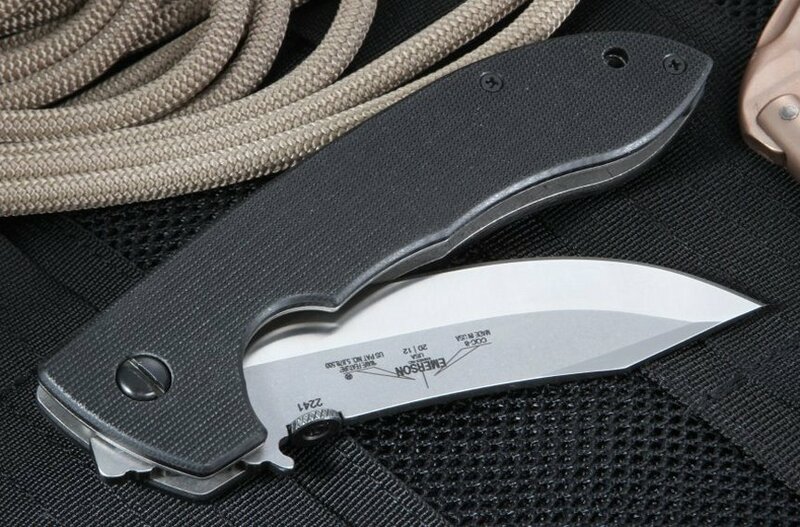 The Emerson CQC8 SF Satin Finished tactical folding knife is fabricated using 154 CM steel for its premium upswept blade and a standard conventional edge. The blade measures 3.9 inches with a .125 inch thickness. It features a 57-59 RC hardness and natural satin finish. 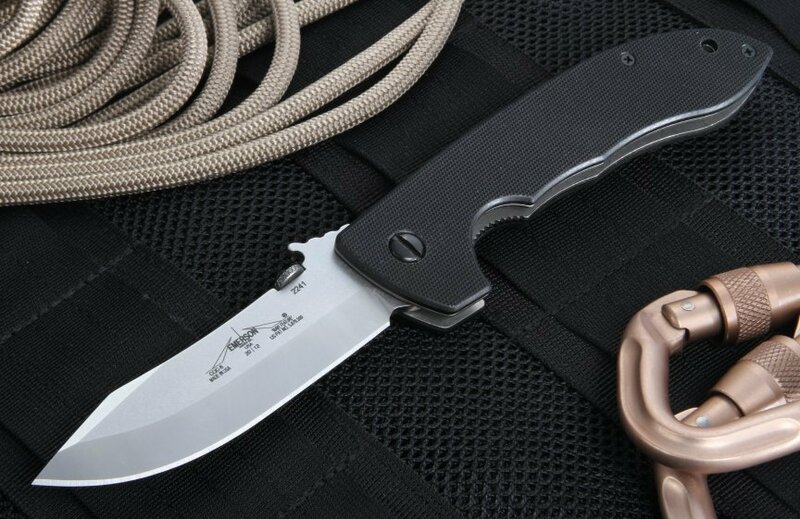 The patented wave feature allows this knife to be opened in an emergency with one hand making it the perfect tactical knife for everyday carry or close quarter combat. 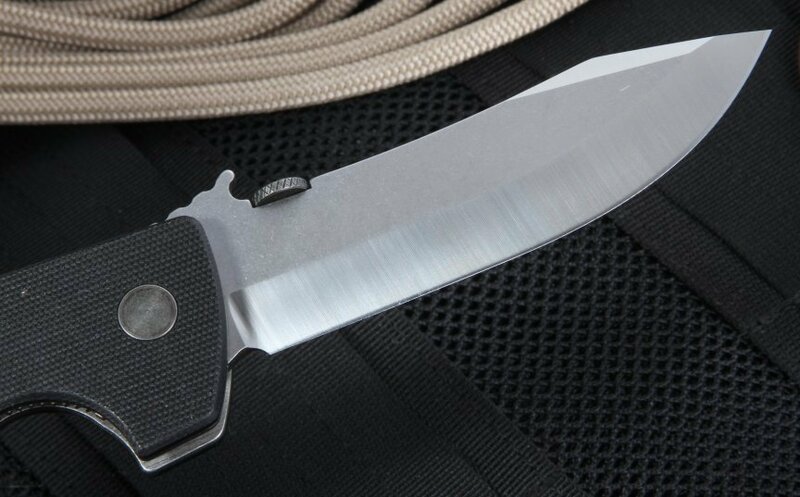 The CQC8 features a black G-10 handle and has an overall length of 9.3 inches, 6 inches folded. 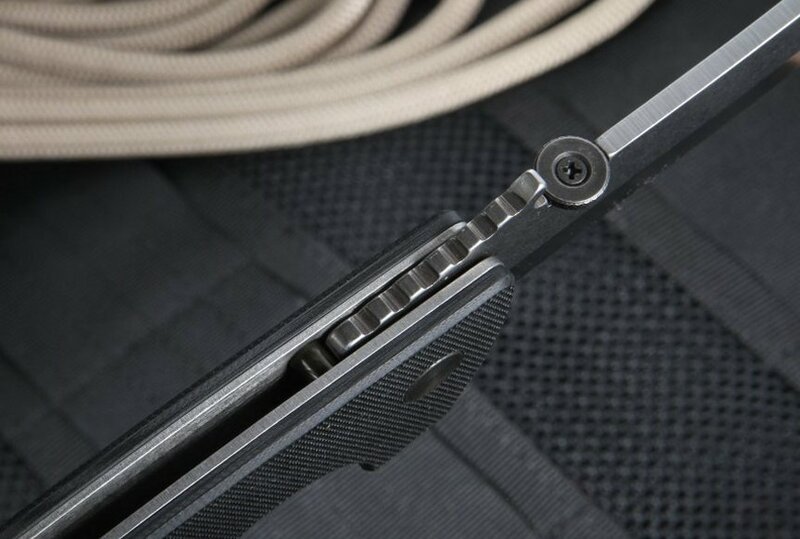 The lock is made with aerospace grade titanium and comes with a stainless steel, blade down, pocket clip. 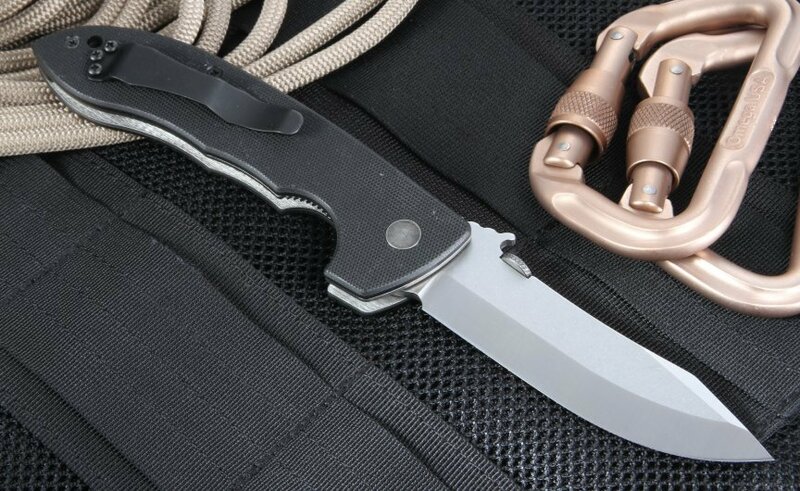 The handle is ergonomically designed for the comfort of use and the general design of this knife and its wave feature makes opening this knife with one hand from the pocket a fluid, natural motion. Shop with confidence at KnifeArt, dedicated to the highest quality knives as well as the highest quality customer service in the industry. All purchases of $150 or more will receive KnifeArt's fast and free shipping.